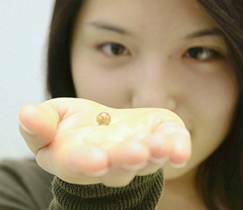 The state-run university’s Geodynamics Research Center said it has processed an artificially produced diamond, named Hime, into a perfect four-carat sphere with a diameter of 7.5 millimeters. In 2003, the research center synthesized a tiny grain of Hime diamond measuring less than 1 millimeter wide. The centre combined carbon atoms by subjecting them to 150,000 times the standard atmospheric pressure and temperatures of 2,300 C.
By last year, the research team had become able to create Hime diamonds up to 1 centimeter wide, they said. Hime diamonds are far harder than naturally formed diamonds. They have a uniform degree of hardness throughout their structure, whereas this changes in different parts of a natural diamond, according to the centre. Rare Diamonds – would you like to buy them? 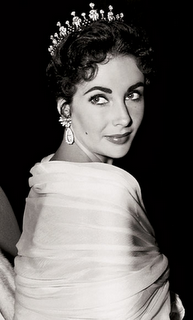 Elizabeth Taylor’s “The Mike Todd Tiara,” estimated at $60,000 – $80,000. Mike Todd gave Taylor this antique Cartier tiara which Liz wore often. Christie’s auction house is selling her complete jewelry collection in New York on Dec. 13-14. Aimee Kestenberg, has come up with her latest collection taking, the symbol of Leo (her star sign), the lion as inspiration. She says “I’m obsessed with astrology”. She explains: “There is no real cut-off point as to who can wear it. They appeal to everyone, it’s not restrictive but it is very avant-garde.” Though having only launched her label at the end of last year, she had been working as a couturier jeweler while studying at Parsons. Expect lion head medallions on chains that wrap around the body, serious statement exotic skin cuffs & handbags for those that require an arm candy fix. Visit www.jatalika.com for further information. Description: Glam from the ground up, very tempting Solitaire Engagement Ring with huge Cubic Zirconia at center. 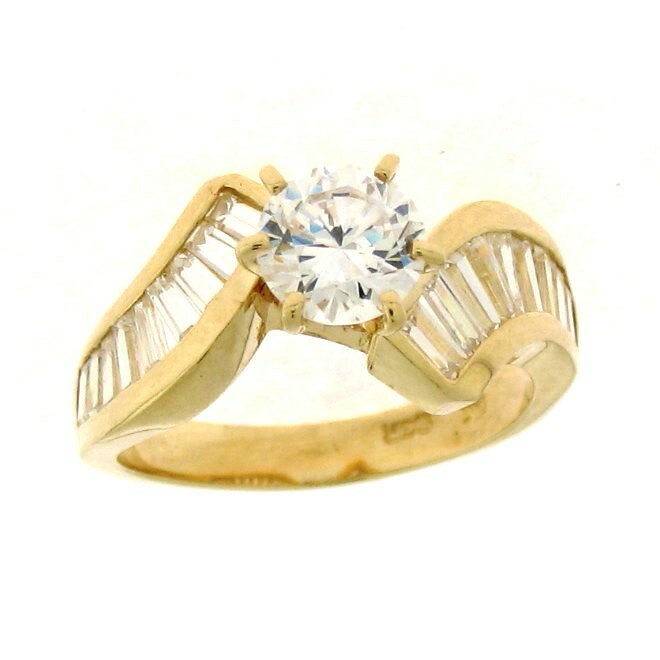 Sparkling round and taper baguette shaped Cubic Zirconia are set in 9 ct Yellow Gold. Cubic Zirconia at center is set with the help of prong setting and taper baguette Cubic Zirconia is beautifully set with channel setting which elaborates it more. Have the beauty of diamonds without the insane price tag. Made from 5.4 x Grams 9 ct. yellow gold.